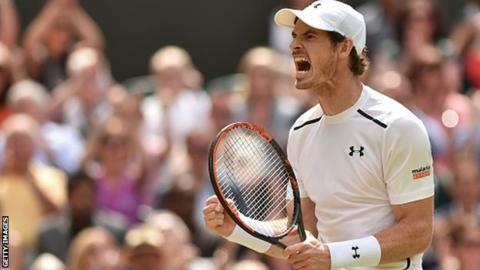 Britain's defending champion Andy Murray has been named top seed as the 'big four' in men's tennis head the rankings for Wimbledon. Novak Djokovic is second, Roger Federer third and Rafael Nadal fourth seed. It is the first time since Wimbledon 2014 that the four players have been named top seeds for a Grand Slam and keeps them apart until the semi-finals. German Angelique Kerber is the top women's seed with Britain's Johanna Konta sixth. The draw will be held on Friday for the tournament, which starts on Monday, 3 July. Murray, who won Wimbledon for the second time last year, pulled out of his scheduled warm-up match at the Hurlingham Club on Tuesday with a sore hip but the 30-year-old Scot still plans to play an as-yet-unnamed opponent on Friday. With the men's seedings taking into account recent grass court form, Djokovic and Federer move up two places from their world ranking, with Nadal and fifth seed Stan Wawrinka dropping two. The Queen's Club champion Feliciano Lopez is ranked 25, but will be seeded 19th for Wimbledon. Women's seedings reflect the world rankings, with Simona Halep second behind Kerber, while 26-year-old Konta looks to get further than the second round for the first time. Defending champion Serena Williams is absent because she is pregnant. Briton Jamie Murray and his partner Bruno Soares are the third seeds for the men's doubles, which are headed by Henri Kontinen and John Peers.